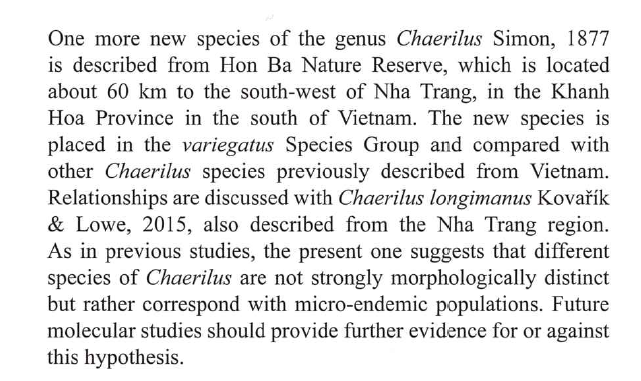 Wilson Lourenco has recently published a new species of Chaerilus Simon, 1877 (Chaerilidae) from Vietnam. Lourenco WR. 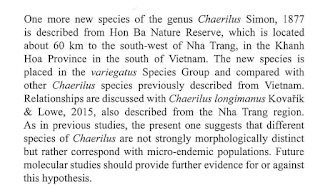 The genus Chaerilus Simon, 1877 (Scorpiones: Chaerilidae) in Vietnam, with the description of a new species. Arachnology. 2019;18(1):32-6.